The one man power lift. 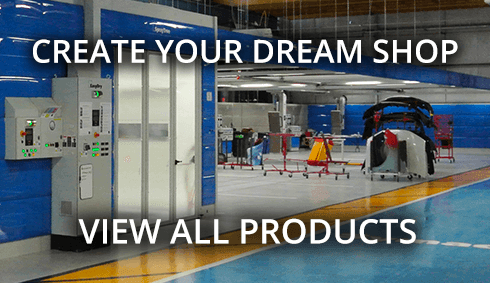 The Innovative Truck Bed Lift allows you to easily lift truck beds with just one auto body technician, saving time and money in your collision services shop. The Bed Lift’s padded support arms have measurement numbers on both sides to ensure that a truck bed is properly centered. An adjustable center hook can be used with a chain attachment for even weight distribution. Rubber padding on the BedLlift’s support arms prevents damage to your customer’s vehicles, and the multiple adjustment features allow your technicians to safely and easily work. 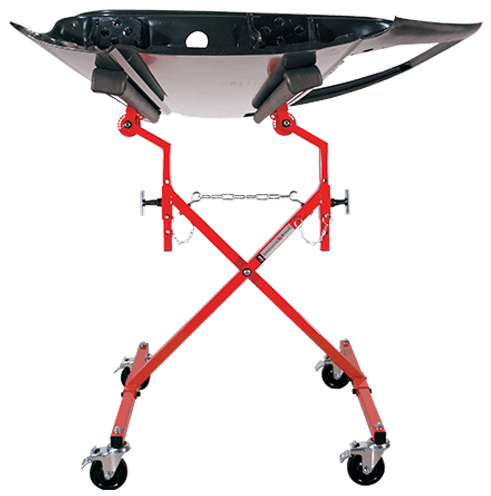 The Innovative Truck Bed Lift is made of heavy-duty steel and features a powder-coat finish. Weight rated to 600 lbs. One Innovative Truck Bed Lift will be all most auto body repair shops need.